It’s already October and Halloween will be here before we know it! 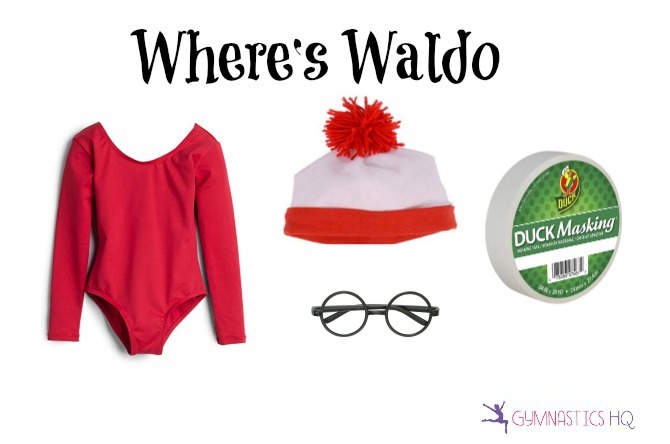 With all the trick-or-treating and school and gym parties, you’re going to need a great costume! Halloween costumes can be super expensive, though, especially if you only plan to wear it the one time — which is why a little creativity can go a long way. For gymnasts, using a leotard as the basis of your costume is pretty genius because then you can wear it to the gym for practice the rest of the year. You might be surprised, but pairing a leotard with a few simple additions can completely transform you for the night! 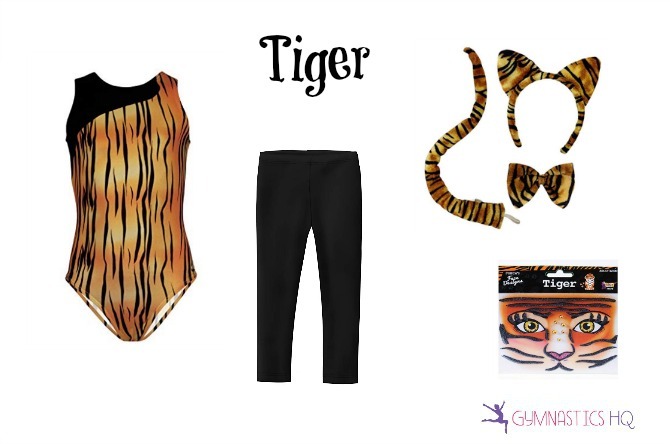 Gymnastics leotards are also super comfortable compared to a lot of other costumes, and you’ll be all set if you feel the need to do a cartwheel — or a handstand (speaking of which, make sure you enter the #GymHQHalloweenHandstands contest)! 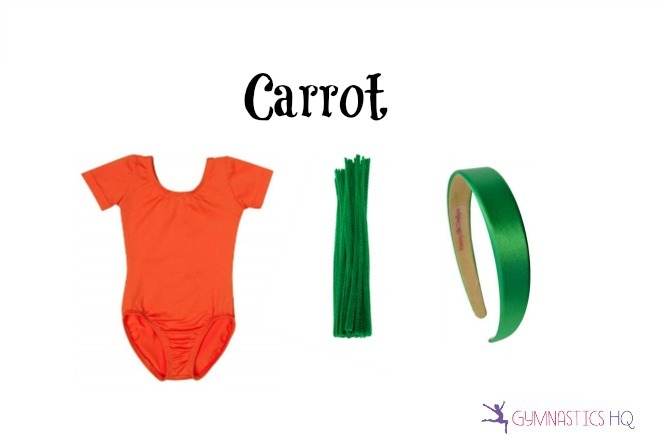 From some of your more traditional storybook characters to cute fruits and veggies, these fun ideas using gymnastics leotards will earn you a perfect score in the costume department. 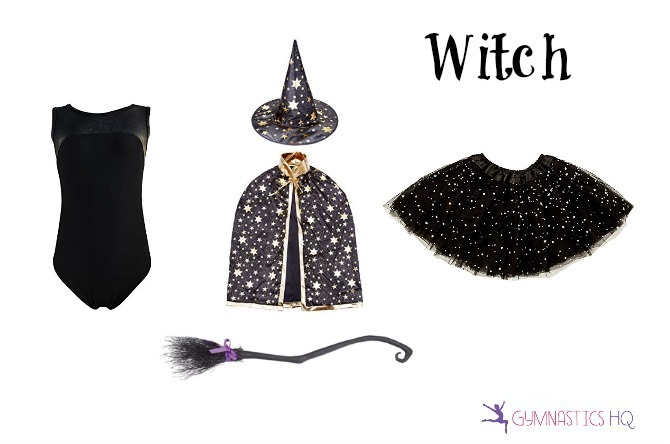 If you’re looking to go traditional for the spookiest day of the year, you can’t go wrong with a witch costume. It’s so easy to throw a tutu and pointy hat on with a black leotard, grab a broomstick and you’re out the door! I went with a little bit of shimmer for the ensemble below. I love the star print on this cape and hat set I found. Plus, the leotard with just a hint of shine will look sleek at practice long after Halloween is over. 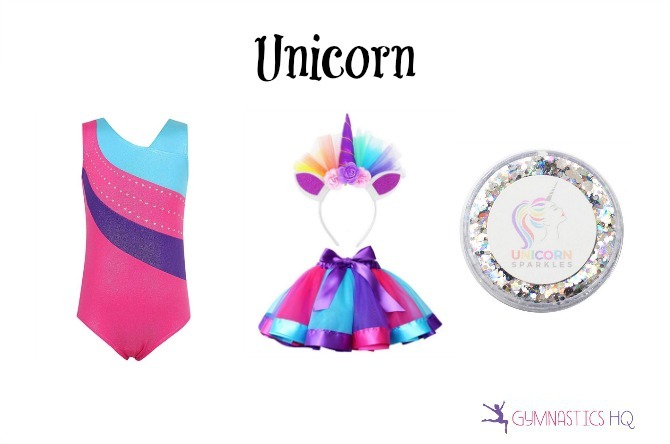 So I’m in love with the bright colors of this striped and sparkly leotard, and even more obsessed with the colorful tutu/headband set that can easily transform any gymnast into a unicorn. Finish it off with some body sparkles and you’ll be the most magical mythical creature of the night! Who doesn’t love the Where’s Waldo books?! Everyone recognizes Waldo in his red and white stripes and glasses. This year you can be the real-life version and see who can find you at your gym parties or trick-or-treating. All you need is a red leotard and a little creativity. Some white tape can easily create the stripes, then grab a pair of glasses, a hat and throw on a pair of your own jeans! Perhaps you want to think a little out-of-the-box this year, and go with a staple food group — like fruit! It’s super easy to be a grape for the night. Plus, you’ll provide a healthy dose of Vitamin C amid all that candy. 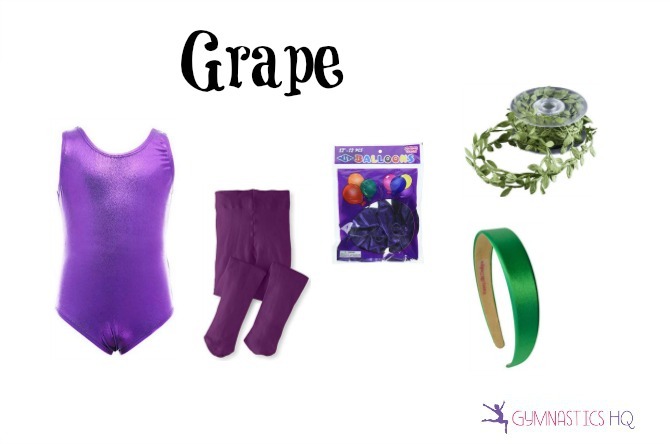 For this one, I used a purple leotard and tights, along with a green headband. The best part? Just add balloons! So maybe fruit isn’t your thing, but what about the veggies? A carrot could make the perfect disguise this year. And, if you have a friend who wants to go with you, one of you could be a bunny (to get this look, check my post from last year). 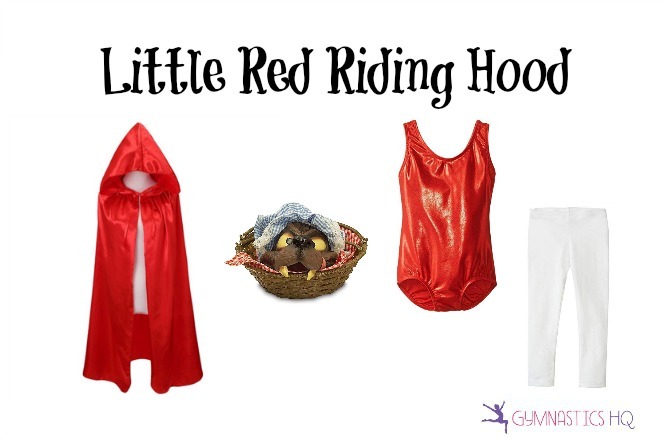 Sometimes it’s fun to go with the classics for Halloween, and it doesn’t get any more classic than Little Red Riding Hood. 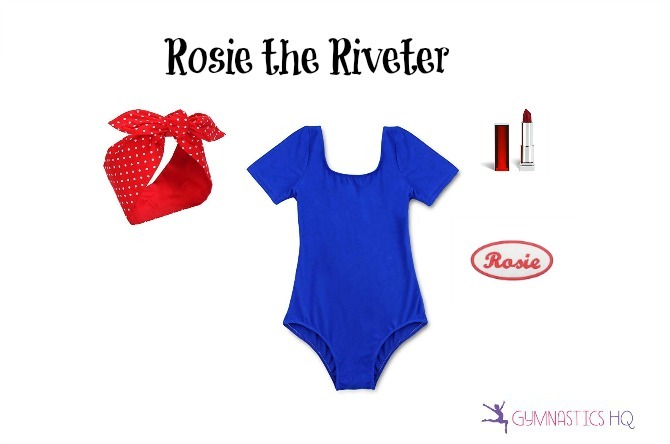 All you need is a red or white gymnastics leotard (like the shiny one listed below), some leggings and, of course, the cape! Then, you can carry any basket you already have, or if you want to go all out, the one below comes complete with the Big Bad Wolf’s head (which is also removable). So I saw this leotard first and loved how fierce it would look in the gym! It also makes a great base for a tiger costume. Just throw on some black leggings, ears and a tail! If you want to go all out, try out some fun whiskers and makeup. Who wants to take an imaginary trip to the islands this year?! It’s so easy and fun to go tropical and be a hula dancer for the night. 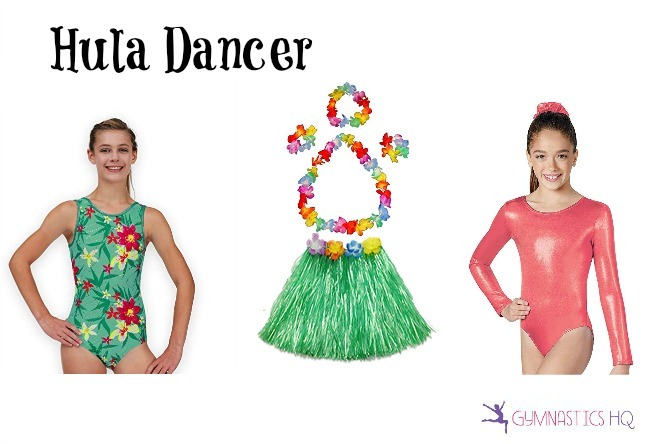 I love the tropical print leotard I found below, but this is a costume where you could also go with just a solid leotard and let the grass skirt stand out. Now just practice swaying those hips! 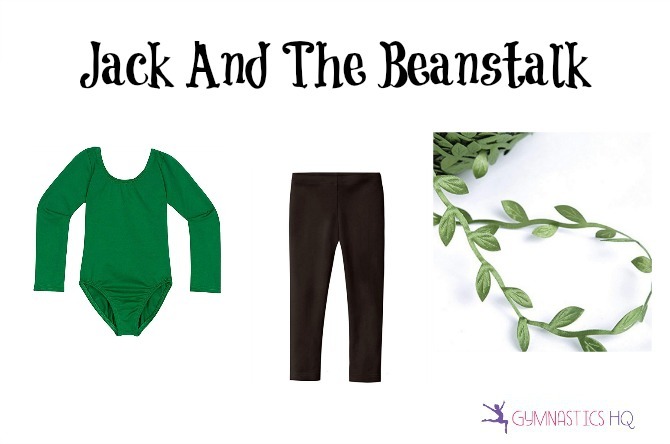 Everyone knows the story of Jack and the Beanstalk. Instead of trading in your cow for magic beans, though, this costume will get you lots of candy! All you have to do is get some brown leggings, a green leo and drape yourself in greenery. Then, tell everyone your candy is your bag of magic beans! 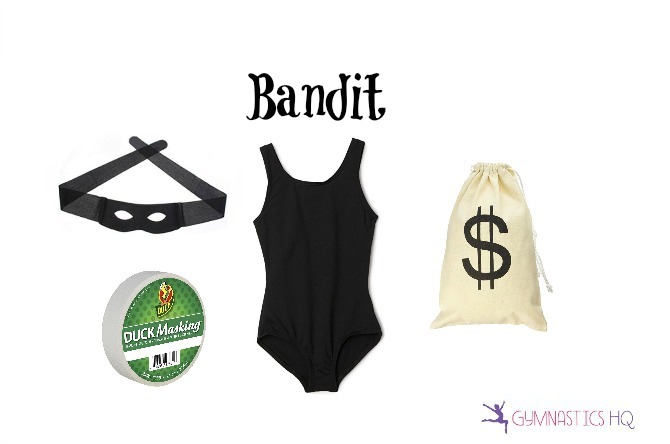 If you want to pretend to be a little mischievous this year, be a bandit for the night! All you need is a black leotard, an eye mask and a money bag. You can check out the money bag I found below, or if you want to get crafty, just use masking tape to put a dollar sign on and any duffle you might have. Plus, your money bag will double as a great place to store your candy for the night! This is one of my favorites! I mean, who doesn’t want to be the famous female icon? You can be patriotic — and it’s a great excuse to flex your muscles all night and show off all that hard work you’ve put in at the gym. 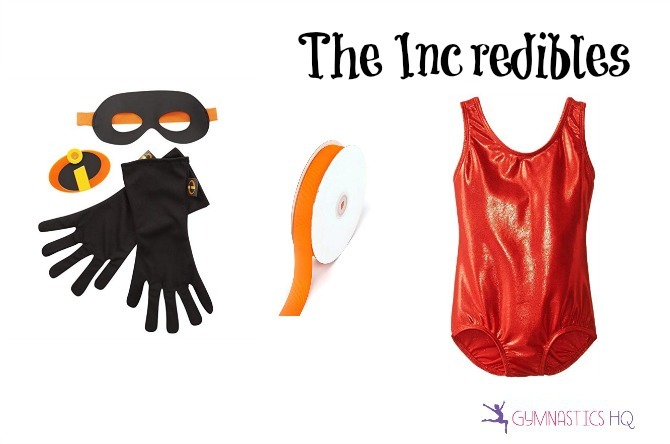 Everyones loves to be a superhero for a night, so why not be Disney’s beloved crime-fighters: The Incredibles! Go with friends and be the whole gang, or pick your favorite. I’m obsessed with this sparkly red leotard, too. Tie an orange ribbon around you for the night to make the belt. If nothing on this list sparks your interest, be sure to check out 26 more ideas from last year’s list! And don’t forget to enter the #GymHQHalloweenHandstands contest. If you dress up in your costume to do your handstand, you might earn more votes!